Recently, the Sentinel sat down in an exclusive interview with legendary hairstylist Kenneth Walker, who’s styled for some of America’s most prominent stars. Walker, whose niche is hair design for TV & Film, has done hairstyles for a number of thespians including Marla Gibbs, Denzel Washington, Julia Roberts, Bill Duke, Viola Davis, Janet Jackson, Vivica A. Fox, Michael Ealy, Laurence Fishburne and more. 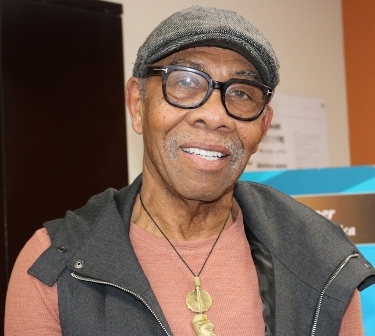 Tall in stature and meek in demeanor, the self-proclaimed “hairdresser,” told us that it was the Watts Riots of 1965 that inspired him to take hold of his passion. With a desire to help provide for his mother, a domestic, and leave his job as a clothing store salesman, Walker set his sights on beauty school, a tranquil tradeoff to the chaos erupting around him. “I decided, hey I gotta’ help her, because she’s put my brother and I through a lot,” he said. “As horrible as it (Watts Riots) was, it was one of the better things that has ever happened to me,” Walker continued. Ironically, the $25.00 per week Walker made at his then day job was the same amount required for his tuition at Flavio Leimert Park Beauty College. Eventually, Walker’s step out on faith would lead to an opportunity to work with Marla Gibbs on the hit NBC TV series “227”. As a rising African American hairstylist to the stars, Walker says that back then he was glad to have “suffered the indignity of being that guy”. “It was a movement that I was on, and it was such a great movement,” Walker said. Soon, Walker would learn that his critical role behind the scenes helped pave the way for how an actor delivers or is perceived in front of the camera. In this sense, Walker hit a goldmine, landing one of his first opportunities to work with Oscar Award-winning actor Denzel Washington for Devil in a Blue Dress. His work on this film led to work on more of Washington’s films, including, Crimson Tide, Philadelphia, American Gangster, and The Great Debaters. Walker says that it was also Washington’s personal vision that contributed to each role’s success. “He’s very, very in to every aspect of his filmmaking,” Walker said. “It was such a great, grand time in my life, just watching him come alive,” he continued. When it comes to hair styling for TV and film, Walker says that the process is largely collaborative. “I work within the constraints of doing a film, and so I’m dealing with a director, I’m dealing with an actor or actress, so you have to listen to a lot of voices, and then you have to interject your perception of what’s going on,” Walker said. As for his work on the multi-award nominated film, Loving, Walker says he vividly remembers the controversy surrounding the interracial marriage of Richard and Mildred Loving in the late 1950s, and was excited when he got the call to work on the period piece. In order to transform the hairstyles of the film’s stars, Ruth Negga and Joel Edgerton, Walker says he used a documentary on the Loving’s as his primary source of inspiration. “It was a labor of love and I really had time to get it together,” Walker said of his work on the film. The 78-year-old, who doesn’t look a day over 60, also shared some poignant advice for the newer generation of rising hair stylists and artists in the field. “Pay attention to old school. Listen, and not only be a good listener, but hear what people are saying,” he stated. “It’s okay to learn from anybody that can teach you anything, and when it turns in to a job, you know it’s not for you,” he said. “You’ve gotta’ go in to you and know how great you are. You are unique, there’s only one of you. There are a lot of people that do what you do, but not the way you do it,” Walker proclaimed. “Wake up knowing that your blessings are here another day, and you know why they are here another day, because you woke up, and you have the option to make it what you want it to be,” he continued. For an African American male hairstylist that’s reached many plateaus, Walker says that the legacy he wants to leave behind is simple. “I’ve achieved, and I’ve done really wonderful things, I’ve worked on great movies, I’ve worked on great TV shows, and I feel happy,” Walker said. “In my soul, I’m happy with what I’ve done, and I’m so excited about meeting new people, and new hairdressers and new makeup artists, and that’s my joy,” Walker concluded.